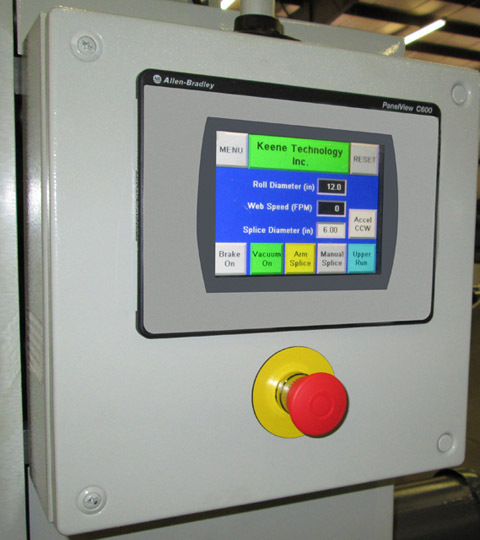 KTI offers a variety of upgrades and retrofits to our machines. Older machines present greater troubleshooting challenges. A PLC upgrade can provide many years of longevity to a machine that is in otherwise great condition. In addition, new technologies can provide improved and simplified data handling capabilities. The availability of an upgrade or retrofit to a KTI machine will depend on many factors including the age of the machine, the original intended application of the machine, and the current condition of the machine. Not all machines can be upgraded or retrofitted. KTI encourages customers to contact us to discuss your current machine and a plan of action for a retrofit, upgrade or possibly a new machine. There are several types of upgrades and retrofits KTI can provide to their customers, the 5 most common upgrades and retrofits are highlighted below. Performance Upgrades can improve performance, reliability or life to a part or the machine. The most common upgrade of this type is the analog carriage encoder upgrade. Many KTI machines used a simple potentiometer as the festoon carriage position feedback device. These potentiometers are a high maintenance item and can wear out quickly, rendering a machine nearly inoperable if ignored. The analog encoder used on all new KTI machines eliminates the wear issue and generally provides a higher quality, reliable feedback signal to the machine control system. Most upgrades of this type are economical and can easily be retrofit to older machines. It is important to note, a performance upgrade refers only to how well a part or machine performs its function and will not affect the original machine specifications. Changing a machines specifications would typically require extensive changes and more often than not a better solution would be a new machine to replace the old. A PLC retrofit replaces some KTI microprocessor-based controls systems (pictured below left) with an Allen-Bradley MicroLogix PLC system (pictured below right). These retrofits also include an upgrade of the safety circuits to current standards. An HMI provides the operator with access to more control parameters and adds error and fault messaging. This type of retrofit can extend the life of the machine if the particular microprocessor-based control is obsolete and can no longer be supported (provided the machine is in otherwise good working order). This type of retrofit can sometimes be cost prohibited, making these retrofits an option best for machines that are well maintained. PLC control system retrofits are only available for select models and vintages, check with KTI today to see if your machine would qualify. Viewed by KTI as one of the most important upgrades is a safety upgrade. KTI is committed to continually monitoring all machine models of all ages for safety improvements. If a safety improvement is deemed necessary or identified, KTI tries our best to contact all customers that may be affected. We can offer suggestions for an upgrade that would improve the safety of your particular machine. We encourage all customers to check with us on a regular basis for any safety-related upgrades that may be available. 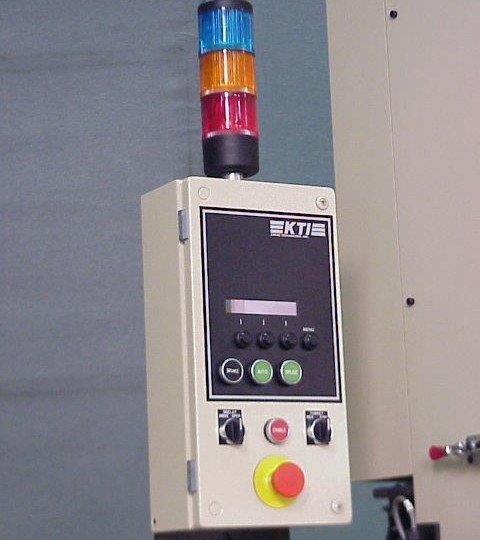 Over the years KTI has continued to modify our current machine models and add to our product lines. We have enhanced many of our machines with additional optional features. Often a new feature can be added to an older model of the same product giving past customers a way to expand the capabilities of a machine and enabling them to use it for new types of work. A common additional feature retrofitted by KTI includes adding an automatic decurler to our unwind splicer. For our turret rewinders, a shear-cut slitter and web guide system can be retrofitted. Contact KTI today to see what additional options can be added to your machine. Machine rebuilds include all available safety upgrades, critical performance upgrades, and can include a PLC control system retrofit. A machine rebuild may not always be cost effective making it a limited option for many, however it is the only type of upgrade or retrofit that will effectively extend the life of a machine deeming it worthwhile to many customers.